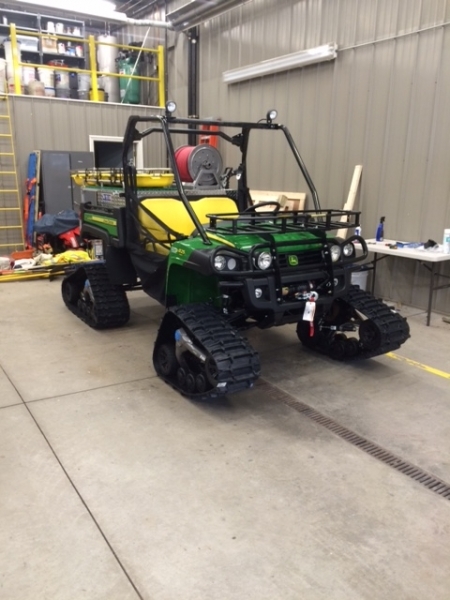 This vehicle, purchased with a grant from Senator Nozollio is a 2015 825i John Deere ATV with tracks (winter) and wheels (summer). 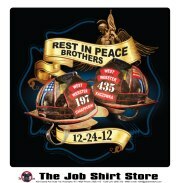 The vehicle is 4wd and has an Emergency Equipment Firelite transport deluxe insert. This insert includes a honda powered 5.5 hp gas engine, two stage pump, 55 gallon poly tank and hanney reel with 100' of booster hose, and a 5 gallon foam cell. The insert has a rescue deck with basket stretcher.